*Iconic trumpeter and philanthropist Herb Alpert never toots his own horn about his generous support for the arts because he prefers anonymity leaving boasting rights about his noble nature to others. 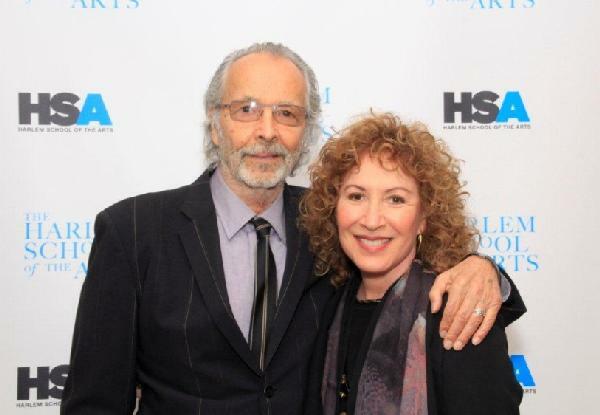 Case in point, The Herb Alpert Foundation made an unprecedented grant to the Harlem School of the Arts (HSA) of $5,050,000 – the largest single gift to any cultural institution in Harlem – bringing their total giving to HSA to more than $6 million since 2010. HSA is a community-based cultural and educational institution located in Harlem’s historic Hamilton Heights that has served children and families of all backgrounds for nearly 50 years since its formation in 1964 by pioneering concert soprano Dorothy Maynor. HSA heralded Alpert’s charitable donation by honoring him at its fall 2012 Benefit at Lincoln Center’s Stanley H. Kaplan Penthouse hosted by Fox News channel’s Arthel Neville and attracting leaders drawn from the philanthropic, civic, business, social, cultural, entertainment and media sectors. The benefit gala raised an additional $200,000 in support of HSA’s world-class arts training programs. Veteran television news journalist Bill Moyers presented the legendary musician, sculptor, painter, producer and recording industry executive Alpert with HSA’s inaugural leadership award. Alpert was cited for his compassion and landmark donation that will create an endowment providing scholarships for needy students, further enhance its programs and retire its inherited debt. In presenting the award to Alpert, Moyers commented, “Herb Alpert is a creative genius. His career continues to flourish and he continues to use his gifts as an artist and a philanthropist to make our world a better place.” To commemorate the occasion, the Harlem School of the Arts building will now be known as The Herb Alpert Center, home of the Harlem School of the Arts. The event featured live performances by HSA’s Advance Jazz Combo and song and dance excerpts from Disney’s The Lion King. Guests enjoyed the performances and atmosphere with views of Manhattan’s breathtaking West Side skyline in the background while passed hors d’oeuvres were served amidst a lovely fall setting of dahlias and candlelight. This memorable evening was co-chaired by Cahill Gordon & Reindell LLP and Morgan Stanley Smith Barney Wealth Management. 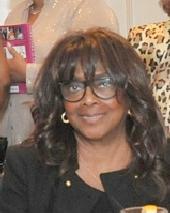 Sponsors included Barnes & Noble; Michelle & Marc Goldfarb of Goldfarb Properties; Mac LaFollette and Dawn Davis; Pillsbury Winthrop Shaw Pittman LLP; Janice S. Williams and Christopher J. Williams; and Lawrence S. Zilavy. Additional support was provided by Pamela Carlton and Charles J. Hamilton, Jr., Judith Gallant and Scott Metzner, Latham & Watkins LLP, MiYoung Lee and Neil Simpkins, Ann and Alton McDowell, Liz Moller and Robert Lemons, Hee-Jung and John Moon, Steven P. Henry, Dr. Henry Jarecki, Falconwood Foundation Inc., Erin and Christopher Keogh, Celia and Henry McGee, Courtney Lee-Mitchell and Marcus Mitchell, Michelle Fizer Peterson and Julio Peterson, and Reginald Van Lee. The HSA Fall 2012 benefit committee was chaired by Councilman Robert Jackson and included Wynton Marsalis, Phylicia Rashad, and the Ford Foundation’s Darren Walker. Previous ArticleSeriously … Zoe Saldana as Nina Simone?